Margaret Jackson, or Maggie as everyone seems to call her, once played in goal for the local youngsters football team when they were a man short, and in a similar situation she has played darts for Ayrshire. She admits she isn’t very good at darts, ‘though I am good at pool’. Both instances are typical of her hands on, get stuck in approach to life which sees her put as much effort into the causes she loves within the local community as into the highly successful businesses she has built up and runs. Hard work started for Margaret at an early age. Her mother and father (Margaret and Bill, hence Marbill) had a coal round and there was no money for child minders so the children went along on the truck. ‘We had no choice. I could carry a dozen briquettes on a board when I was seven’, she said proudly. Her father progressed to running lorries and in 1974 acquired his first coach, a Plaxton Panorama bodied Bedford VAM, building up the fleet to run eight at one stage. Unfortunately, ‘he wasn’t a natural businessman’ and in 1979 thought he had sold out to Alan and Malcolm Margo, but they never came up with the money. When it became clear they were not going to do so he decided to start again. Then, in 1983 with four old buses and piles of debt he developed a brain aneurism and couldn’t work. Margaret said she would buy the business, earn the money to pay off the debt and make sure that he was all right. 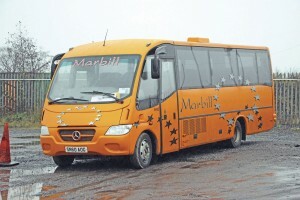 She had already passed her test in a double decker the previous year. Bill died in 1988 at the age of 56, by which time the enterprising Margaret had paid off all of the debts and the business was becoming established. 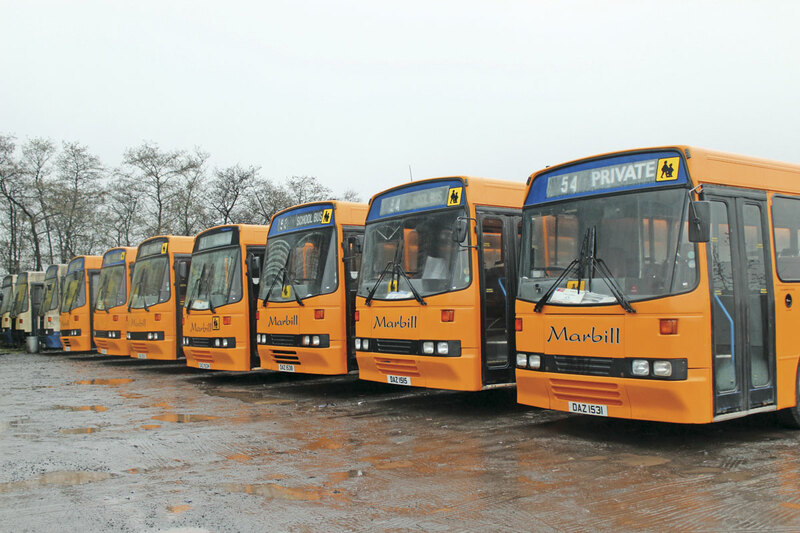 It was an important year in the development of the company because local authority changes saw Strathclyde Passenger Transport Executive (SPTE) take on responsibility from all of the local councils for schools transport provision and issue a large number of new tenders. 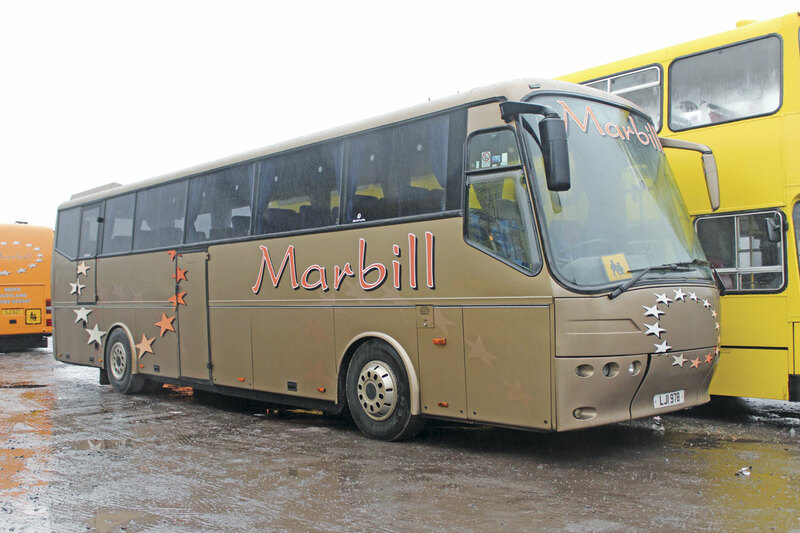 ‘We won a lot in Kilmarnock, Renfrew and Ayrshire and we worked hard at it so that by 1993 we had 12 vehicles, all based at Beith,’ Margaret recalled. In the same year she bought James Jackson & Sons, her grandfather’s haulage company running 20 trucks. ‘I couldn’t face seeing it go down the Swanee’ she said, rejuvenating it and selling it on seven years later. It has not been her only experience in heavy commercials. 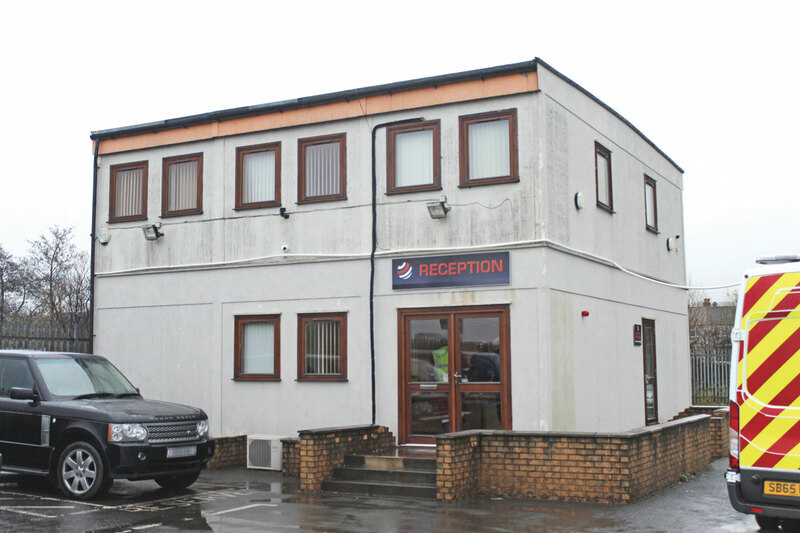 Around 1996 she bought Tourhill Commercials, a recovery company in Kilmarnock because she had been told verbally that she had won contracts to run school services in the area and was ‘setting myself up’. 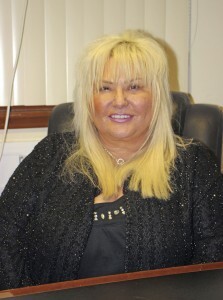 It wasn’t until after she had completed the deal that she learned she wasn’t getting the contracts but continued to run the business anyway, operating low trailers suitable for buses at a time when nobody else in the area had them. It was sold on 12 years ago. 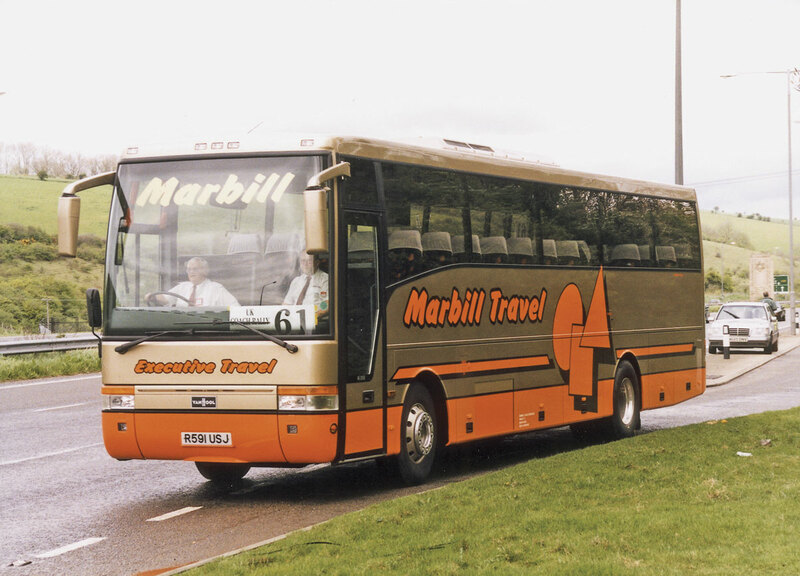 1992 saw the acquisition of the company’s first brand new full sized coaches, a trio of Van Hool Alizee Volvo B10Ms from Jim Tweedie of Moseley Distributors. ‘I paid £132,000 each and sold them for £117,500 each four years later’, she said. 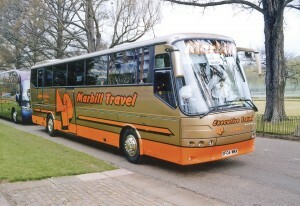 They were primarily for day trips to Blackpool as part of an excursion and tour programme that had been built up. Thirty two years ago this side of the business had begun when she had placed an advert in the local paper advertising Blackpool with a midnight return for £5.00. 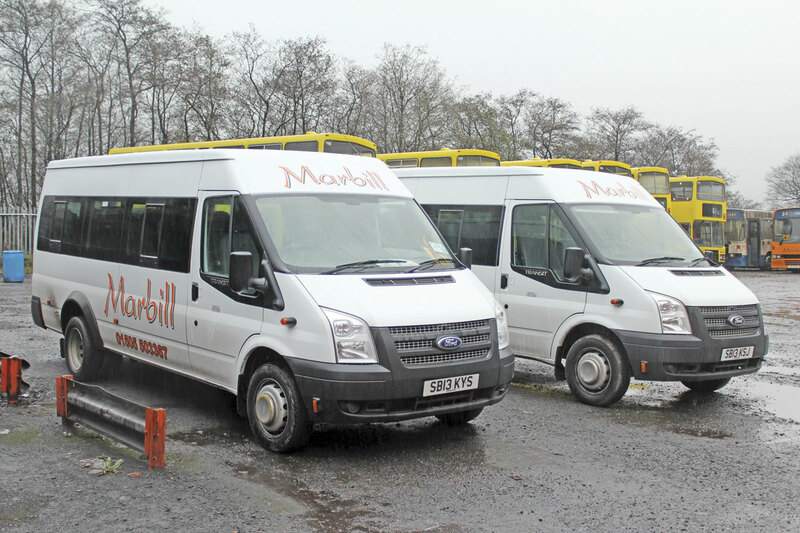 ‘I had to stop selling when I’d filled five buses and I also had to buy an additional Ford to do it,’ she recalled. 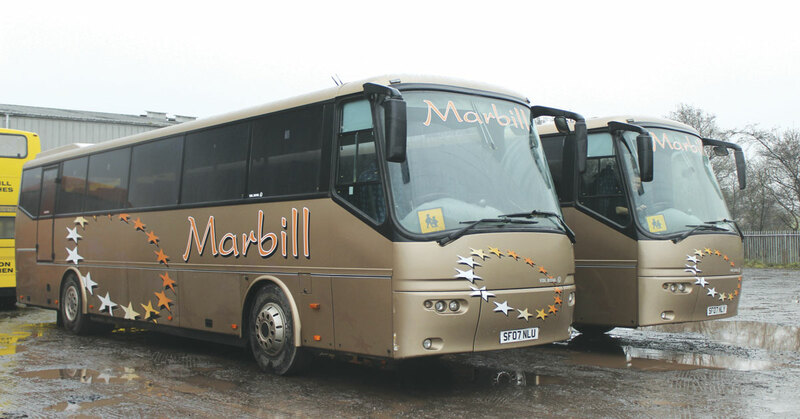 Today, Marbill Holdings Ltd has two distinct arms, Marbill Coaches and Gordon McLeod Plant Hire. 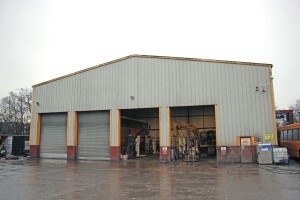 The plant operation has 16 pieces of plant between 16 and 35 tonnes, as well as smaller items. It undertakes haulage too with a fleet of three trucks. On top of all this is a self drive minibus hire operation with a fleet of ten Ford Transits. Margaret has also owned a flower shop in the town, a garage and a petrol station and she also ran a dog rescue service because she loves dogs. ‘I had 19 Yorkies at one time and I’ve still got one,’ she said. 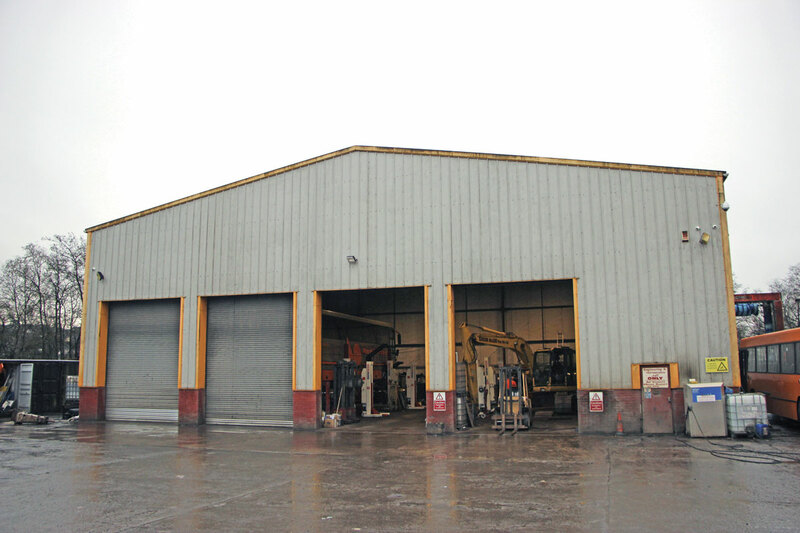 All of the operations run from High Mains Garage on a trading estate in Beith, which is 20 miles south west of Glasgow in North Ayrshire. Since her father started there in yard number two in 1980, Margaret has gradually bought more and more of the estate to the point that she now owns it all. It is just round the corner from the house that has been the family home since she was five and where her brother George still lives. The current bus and coach fleet of 42 is significantly reduced from the 70 that were operated at the peak, though it will go back up in the near future with contracts requiring seven additional coaches scheduled to commence this month. As we talked I could tell Margaret was holding back from saying quite what she felt about some aspects of the contract market, but with some prompting she commented, ‘All of our employees go through the books and are totally legal. You can’t compete with people paying 16 hours to get the tax credits and paying the rest cash in hand. 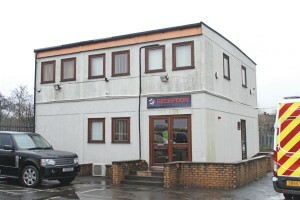 It annoys me greatly that it happens because everyone is not on a level playing field.’ It baffles her how contracts can be awarded for sums only slightly higher than what it costs her to employ a driver after pay, pensions, NI and holiday pay are taken into account, without the additional costs of the necessary training. 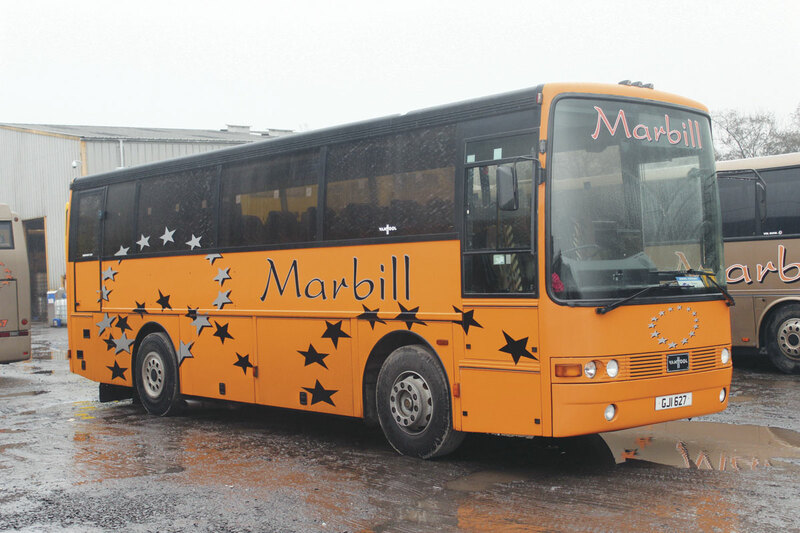 Although it is Margaret at the helm, the business provides employment for much of her family and extended family, even her ex husband, Wallace, still drives for her. Her son, Brian, is a Director and Transport Manager, grandson Liam is an apprentice in the garage, brothers Billy and George drive, as does Billy’s son Jamie, while sister Connie, nine years Margaret’s junior, runs the office and administration side. 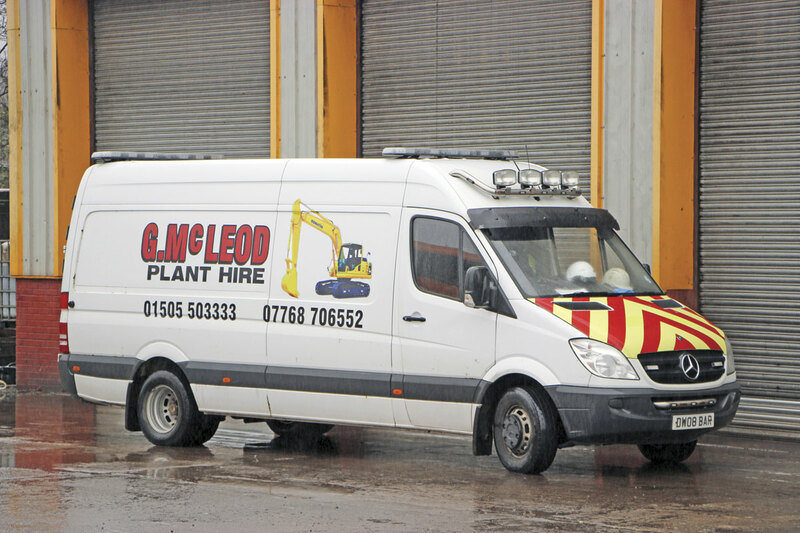 Connie’s children David, Steven and John are the fleet engineer, main fitter with the plant hire business and a mechanic respectively. Margaret has a licence to drive every vehicle operated, ‘even an articulated truck with a 38-tonne Komatsu on the back’. ‘I drive every week. I either schedule myself the night before or I turn out if someone doesn’t appear. Connie drives as well, it’s normal to us,’ said Margaret. ‘Community and family are important to me. You can’t just take, you need to give’, Margaret said. 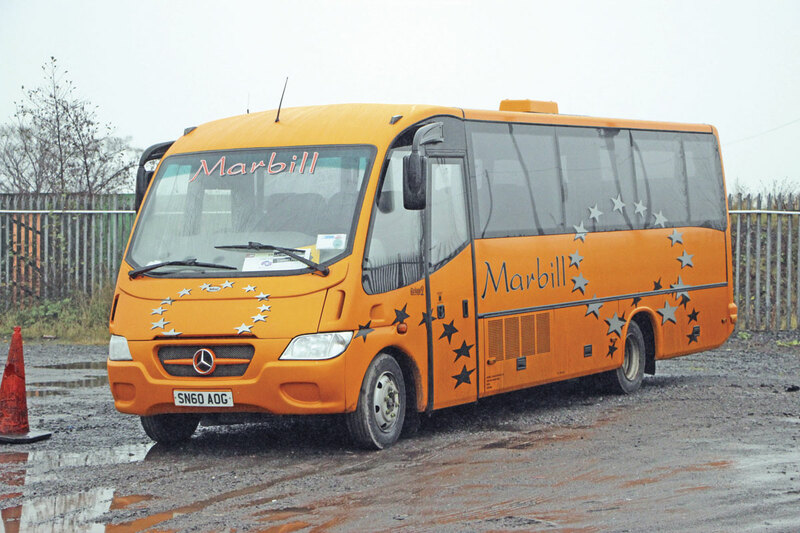 Margaret explained that the use of such vehicles had originally started because, while undertaking a pricing exercise, she saw an opportunity to offer two 70 seaters rather than three 53 seaters. The first ones operated arrived in 1998/1999 when eight Tigers and 11 Volvos were bought from Smiths (Yourbus) of Alcester. They were upseated to seat 69, originally with no belts. 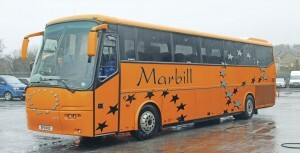 They were later refitted with 69 new Cogent seats. 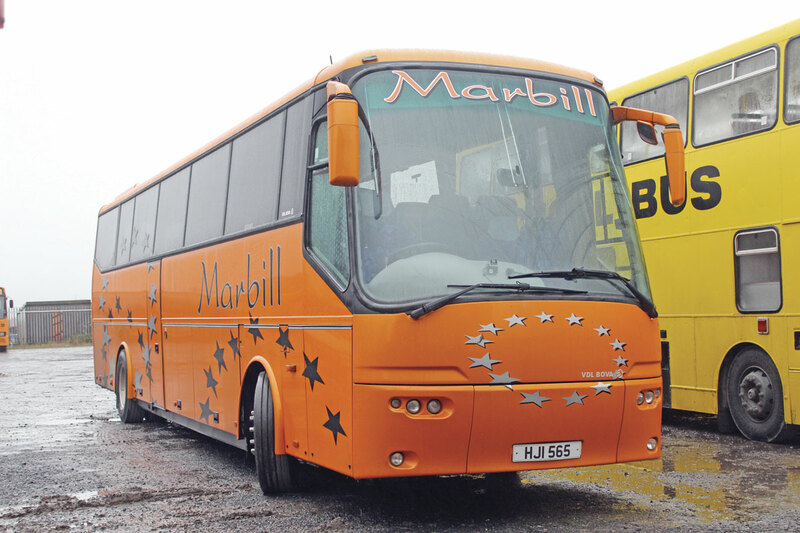 Around 2002, three T8 Alizees Volvos were equipped as belted 70 seaters and in 2005 three 70-seat Volvo B7R Plaxton Profiles were bought new. 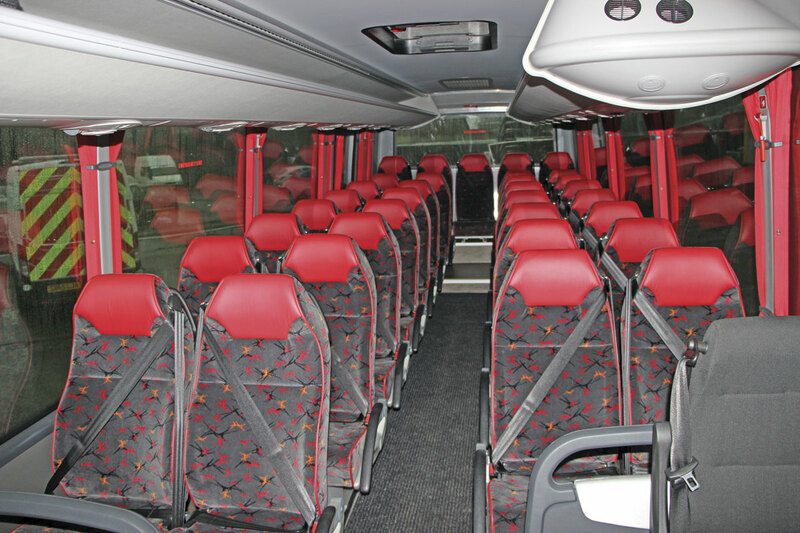 2007 saw very serious investment in the concept when five low height Futura Classic LHD model 70-seaters were bought as a batch. Three of these remain in the fleet as well as an earlier high floor model that is one of two converted in-house to offer the same capacity. The decision to buy new 70-seaters was taken because Margaret saw an opportunity to undertake schools private hire as well as school contracts with them. 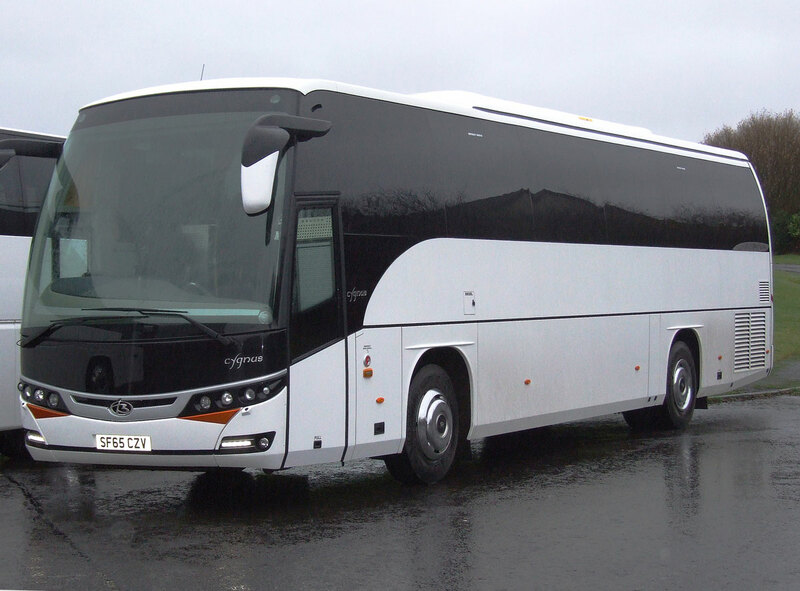 Three years ago a batch of 22 Volvo B10Ms with Alexander Belfast built Q-type bodies were purchased from Ireland. They already seated 65 but she had some of them upseated to 70 seaters with belts. Margaret now runs 13 of them, having sold six to Sammy McPherson of Pride of the Clyde and has three in the far corner of the yard for spares and storage. 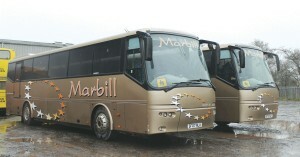 The double deck contract fleet is also high capacity. All are Alexander bodied Cummins powered Volvo Olympians with 81, 85 or 87 seats. Some have been converted from dual to single door and all carry a yellow livery rather than the orange or gold schemes the single deckers carry. 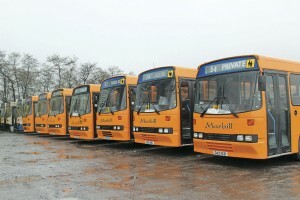 Recently reduced in number to eight, the Olympians were all new to Lothian Buses. ‘For the past 15 years we’ve not bought deckers from anywhere else, they’re class,’ said Margaret. Older ones are cannibalised for parts because they find this the most economical way to do it. 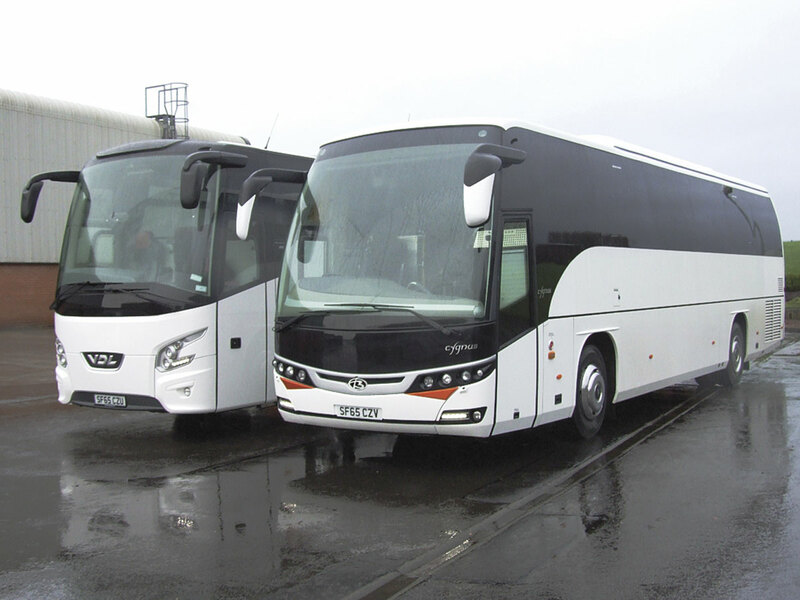 Today the private hire coach fleet is dominated by the VDL Futura in both Classic and the latest Futura FHD2 forms, though there are also a couple of 2002 Van Hool Alizee T9 Volvo B12Ms in service. 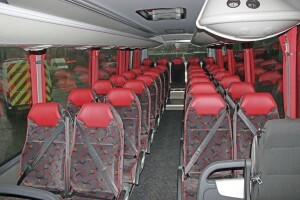 One of the Futura Classics is equipped with only 45 seats. When John Bruce at Airdrie suffered a fire that destroyed the new Van Hool that he was using to carry the Rangers football club, Margaret immediately had one of her coaches converted to offer the same level of luxury and continued the contract until he could source a replacement. When I visited the company had just taken delivery of a brand new Indcar Next bodied 10.5-tonne Mercedes-Benz Atego. 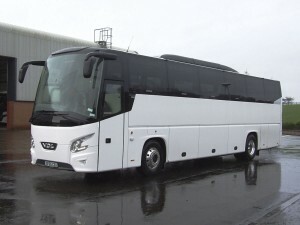 Equipped with 33 seats, it joins a 60-plate Sitcar Beluga bodied Vario 29 seater, an 11-plate Sitcar Marlin bodied Atego and a Volvo B9M Van Hool Alizee T8 in the midi capacity section of the fleet. 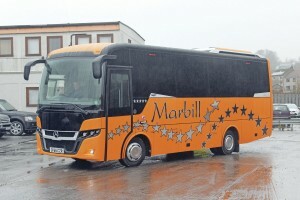 The Next is the first of its kind in Scotland. 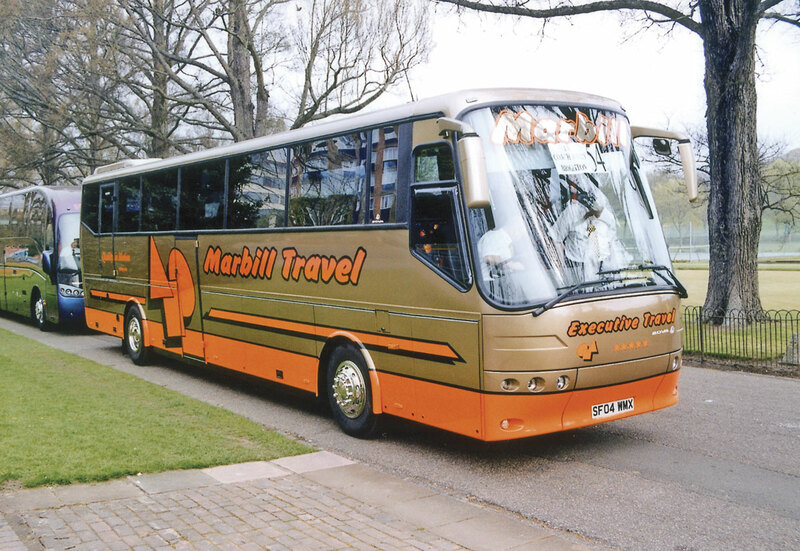 Within days of my visit, news of a contract win prompted Margaret to buy two additional brand new coaches from Moseley Distributors’ stock which were delivered a couple of days before Christmas in white rather than the usual orange. One was a 12.2m Futura FHD2 with 53 seats and a toilet while the other marks a divergence for the fleet as it is mounted on an MAN RR2 chassis, the company’s first MAN. This is a 12.2m Beulas Cygnus and also has a 53-seat plus toilet configuration. With these purchases plans to take a second Indcar Next have been abandoned for the time being. ‘We’re green on VOSA’s traffic light scheme. 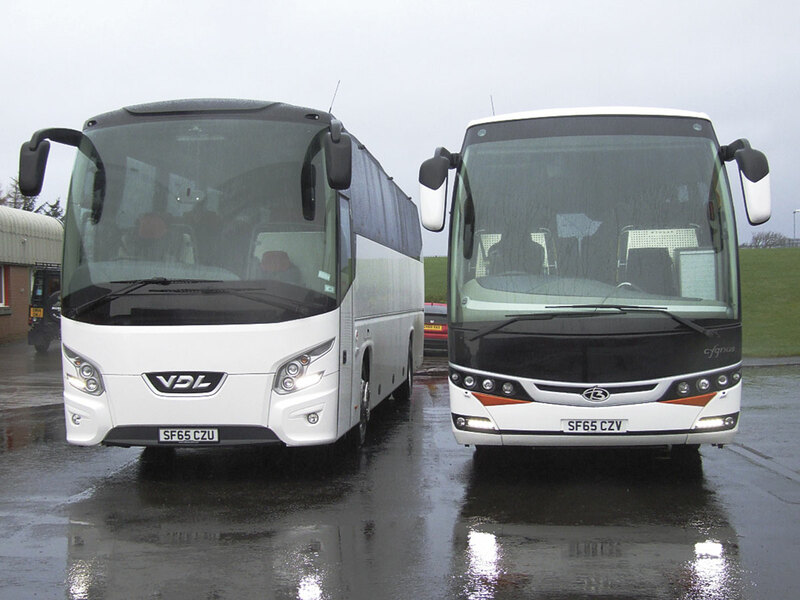 The team worked really hard to achieve it and they continue to do so to maintain it.’ In addition to the checks that VOSA undertakes, Strathclyde Passenger Transport also undertakes its own checks on vehicles it contracts in. My ambition is to make the business solid for the family to keep it going when I’m not here. I have my grandchildren coming up, Liam is 19, Calum is eight, Abigail is two and my sister’s grandchildren. I want a secure future for them. I’d be happy to see them come into the business. Margaret also loves ice cream and makes her own. ‘It’s my downfall,’ she says. ‘I have a compulsion to feed folk – I do dinners for the football club on a Monday night.’ There’s a mischievous side to her too: ‘I love laughs and a good wind up, and as long as we can get on in this business it’s a good day,’ she said.